Taking a vacation—a momentary breather from the daily grind of your life—has always been an integral aspect of leading a well-rounded lifestyle. Packing up your bags, exploring new cities, discovering new places and immersing yourself in an entirely new culture are just some of the things that make our lives interesting. In this regard, spontaneous trips always make for the best memories with some of the shapings and defining the kind of traveler we are today. However, while going anywhere else but home might be considered as somewhat of a comfortable journey, it does not mean that all the places you are looking to go to are worth the trip. When it comes to maximizing your vacation time, your destination matters as much as your itinerary. With this in mind, it is important to consider what you are looking for while you are planning your next trip. You might want to get away from the hustle and bustle of the metropolis and de-stress away from people. However, this is not very likely in an accessible but crowded beach with travelers all year long. Unfortunately, the same can be said about the lauded tourist spots in a particular city that have somehow gained world-recognition through travel articles and blogs or world-acclaim. As a result, you are left with a limited set of options as to where to go—mainly if you are looking to avoid hordes upon hordes of people. However, this is not to say that well-traveled destinations are any less desirable. But if you are looking to visit places that would give you authentic cultural experiences, then it is best to go on holiday at areas that are yet to be affected by mass tourism. Enjoying your very own version of paradise should be somewhere new, unique and unspoiled by the consequences of being slated as a tourist spot. It is already a given that the city air is already saturated with pollutants and irritants. The air gets pretty thick in any major city. Unfortunately, city dwellers have so long exposed to polluted air that they have long since been accustomed to breathing it in. However, while most of us do not pay much heed about the air we inhale, we definitely should. City air can be full of harmful things that can have long-term detrimental effects on our health. Getting out of the city is an excellent way to give your lungs a break from the contaminated air of the town. You can feel the pleasant change the moment you step out into the verdant greens and away from the tall skyscrapers of the city. Trust us when we say that your lungs will soon thank you. Destinations saturated with tourists month after month, year after year will consequently have locals who are wary of seeing them pollute and damage the beloved place they call home. However, the case is very different from off-the-beaten paths as these people rarely see tourists come by their location. As a result, your presence would receive a warm welcome and enthusiastic reception. These locals would often feel excited and proud which means they would be more inclined to show you around and showcase their peaceful way of life. In this regard, you would be able to see these locals for who they are and forge a deeper connection. You will have a more authentic travel experience wherein you can get to immerse yourself into their culture. Consequently, you would not be dining in lonely restaurants but rather, be invited into homes for meals and the like. An integral aspect of travel is learning about the inhabitants of the area as it gives your excursion so much more vibrancy and meaning. Getting to places before anyone else means you will find it easier to connect with these people and have more authentic travel experience. Vacations are meant to give us a momentary breather—a respite from our daily routine. It is only very rarely that we go on holiday to challenge ourselves as we would mostly prefer to relax, be pampered and have all the facilities worthy of an excellent vacation. However, a little challenge here and there is essential to growth and would also make for a rewarding travel experience. The further you are from familiar trails, the more you will be tested in ways you cannot even imagine. Challenges such as communication barriers, being constrained to eat strange foods and an apparent lack of transportation (and thus compelling you to walk) will be just some of the things you will experience. Traveling uncharted paths would often encourage you to break out of your shell and dip a toe out of your comfort zone. As a result, you would be able to take a deeper plunge into a community’s culture and experience things you never thought you would. For this reason, seeing unfamiliar places has always been a welcome option for intrepid travelers who wish to experience something new as not only would it bolster their courage to explore the unknown, but it challenges them as well. Where the air is clean, and the land is fertile, the food is fresh. Sure, there might be a myriad of new markets within proximity of the city, but none of them have offerings as tremendous and as bright as the ones you will find in the outskirts. No, we are not talking about food items and wares that are sold but rather, taking food straight from the source—which is as fresh as you can get. 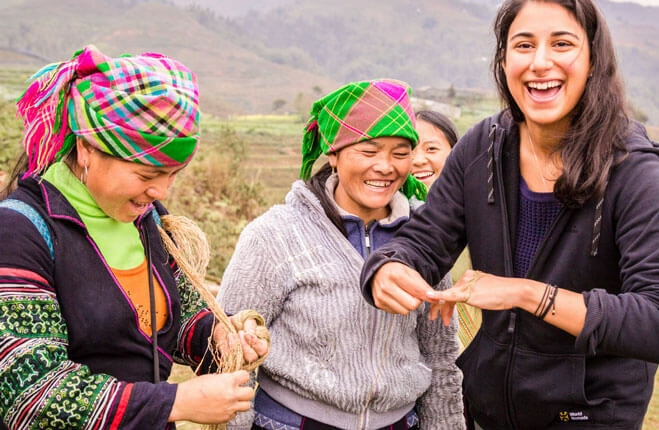 Where else can you experience the overwhelming joy of picking your fruit and catching your fish but in places that compel you to do so? In incredibly remote areas, you will be constrained to find your food as it is scarce that you would see any shops and eateries. And if you are lucky enough to have befriended a local, they might even show you the way to do it. Typically, travel means leaving whatever is familiar to you behind and experience something new and unknown. Unfortunately, this cannot be done unless we will find ourselves to explore uncharted paths and unfamiliar places. In this regard, we must make an effort to point our directions away from the ordinary and find ourselves further from the ties that connect us to home. The further away you are, the less likely you would be able to use your electronics. More often than not, there will be little to no cell reception in these places which would constrain you to unplug and disconnect for a while. With that, you will be able to be in the moment and truly enjoy your travel experiences. 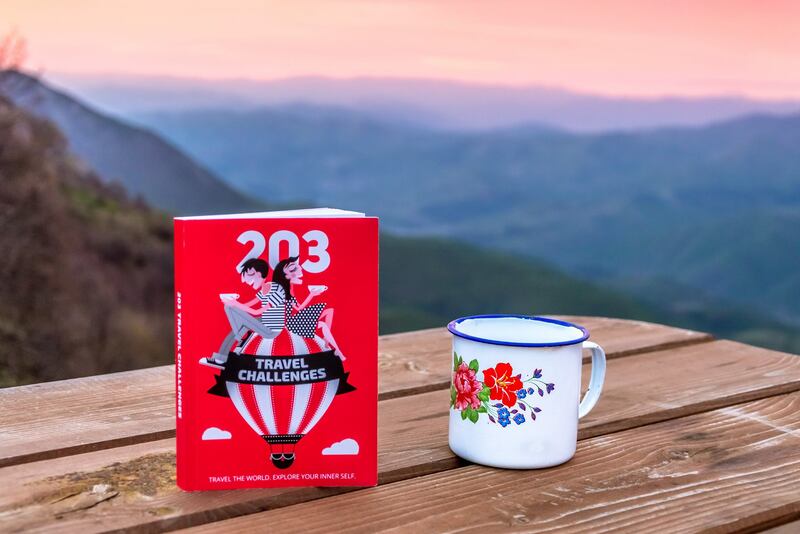 To some, you might have fallen off the globe, but when you do reemerge, it would be with some of the best travel memories you have ever had in life. Favorite tourist spots are great but as they are so saturated with people, getting the beach all to yourself will be quite the challenge. Traveling to remote and unheard of places allows you to experience the site in its entirety without the presence of other people. In this regard, you do not have to worry about being too loud or inconveniencing any of your neighbors and be as you are. Some of these places you can have all to yourself that if you ever wish to skinny dip, this might be your chance to do so. You would not have, and you can spend more time enjoying your stay. You have more time to explore new places and do things as you please rather than be concerned about where the hordes of people are going and if the area you are going to will be pack. Haduan Falls is perfect for individuals who love a bit of trek before reaching their destination. Located in Barangay Marcos, the majestic falls is only accessible through passing the 120-meter hanging bridge which means those who have a fear of heights will have to conquer that phobia. Located at the other side of the bridge is an Aeta community which you need to pass through to get to Haduan Falls. 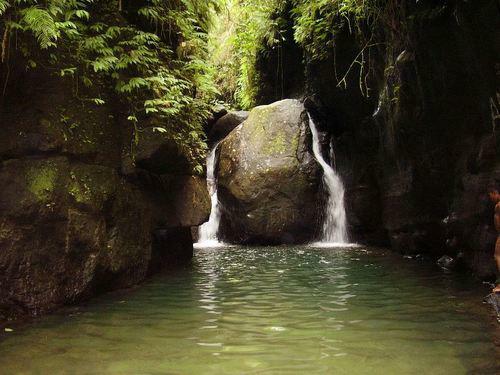 Before reaching the falls, you will see a collection of natural formations that are. Some of these formations are water streams, riverside and boulders and a series of rock formations. However, once you get there, be prepared to have your breath taken away by the falls as it is not your typical kind of waterfalls. Boulders hinder the flow of the water from atop which gives it a unique double flow that catches at the little basins at the ground making for a unique and picturesque destination. While Mt. Arayat is already a famous destination in Pampanga, many travelers neglect to explore further. Traveling a bit further and onto its foothill, you will then see Gintung Pakpak Eco-Park. This place is perfect for those who wish to get up close and personal with Mother Earth. Apart from the breathtaking sight to behold, the story of Sinukwan and his daughters is something that would add an element of intrigue to the place. Inside the eco-park, you can find a manmade lake, an amphitheater, gardens and a series of fish ponds. Apart from that, there is a natural spring pool as well, and if you are craving for Kapampangan food, Kabyayan Restaurant is just within the vicinity. 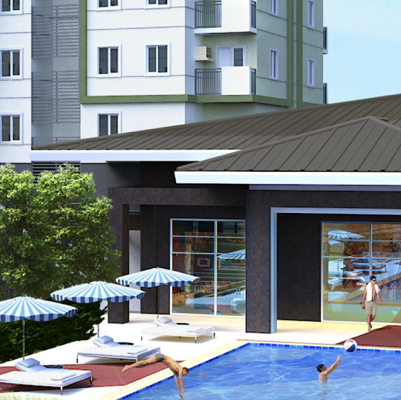 Named after the Aeta village in the area, Nabuklod locates in the hilly portion of Floridablanca. 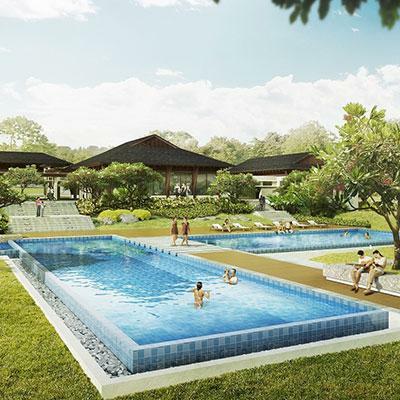 This resort plays host to a myriad of amenities and a series of activities that would surely rival some of the more popular tourist spots in Northern Luzon. 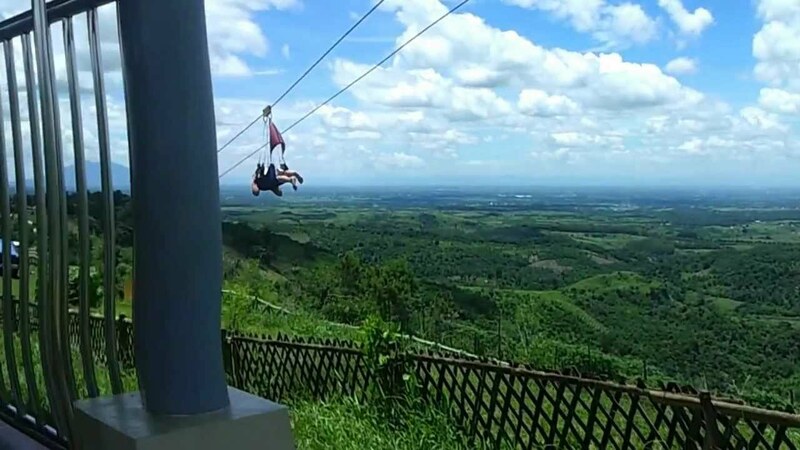 Some of the events you and your family can do are to go zip lining, ride the cable car, see breathtaking sceneries from the view decks, take photos at the grotto and maybe relax at the spa. Adventure seekers should go on an ATV ride on the trails that lead to the upland resort. Visitors who wish to camp out may do so as the resort has its very own camping site. 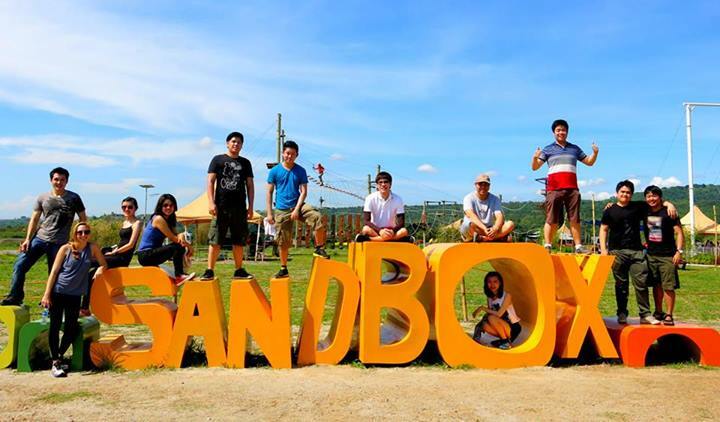 The Sandbox in Alviera, while not exactly an obscure location in the Pampanga province, merits a mention as it’s a destination that is unique. The SandBox proves that playgrounds are not just for kids as the 1,800 hectare promises to be the premier destination for thrill seekers, kids, and kids at heart. This outdoor adventure park is known to be the first giant playground in Central Luzon and has quite a unique selection of facilities that will provide for a series of adventure options for everyone. Among the things you can try is the Adventure Tower which promises to test your agility, flexibility, balance and more importantly, endurance. Additionally, there is a go-kart station within the facility and a Splash Tub with over four different activities to try. Indeed, there is a myriad of things you will inevitably enjoy in the SandBox. A trip coursing through Adams is reminiscent of the iconic scene in the movie, The Sound of Music where Julie Andrews showcased her vocal prowess while prancing about in the verdant green hills. Indeed, Adams is like the sweet and melodic prelude to an obscure song. 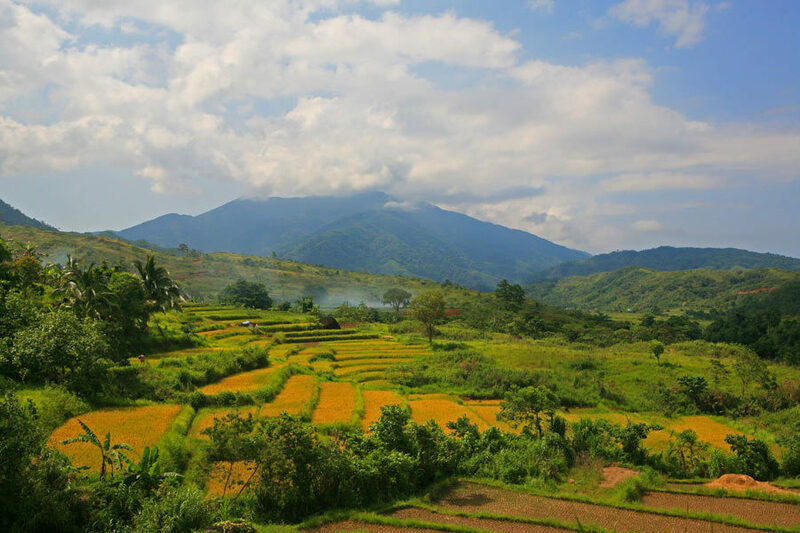 It builds up as you see rice paddies, springs both big and small and finally climaxes with the warm reception of the locals. Adams is mostly known for the Bugnay wine which is light, sweet and fruity and was a government project to provide income to the locals. The place got its moniker after the first settlers of the area thought it was the “Garden of Eden.” It was initially called Adams Garden before shortened to Adams. The province of Kalinga is well hidden among the mountains of Siera Madre as the private area is so far-flung. Civilization here actually dates back to centuries ago and is only a part of the vast province Kalinga-Apayao for 17 years. 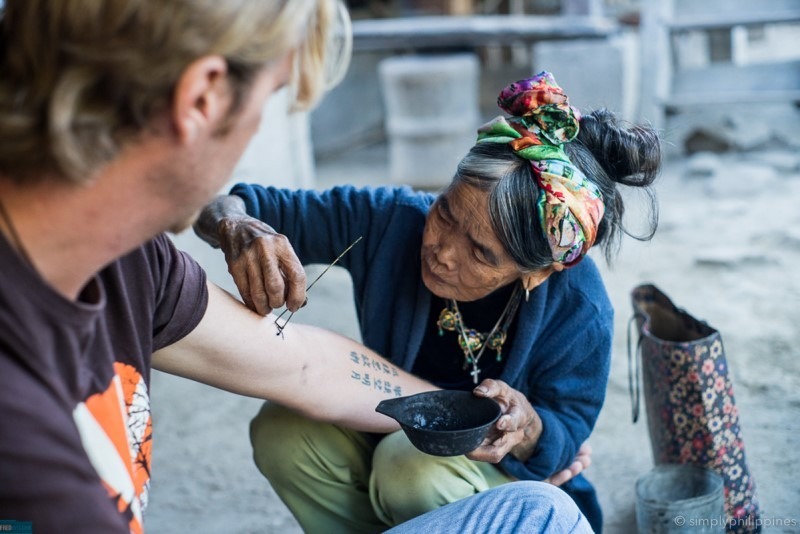 Consequently, it is where people would go to have themselves tattooed by Whang-Od, the oldest Kalinga Tattoo artist. Whang-Od is said to practice the ancient method of tattooing she had learned during her teen years—an art that would have been lost had she not imparted her knowledge to her grandniece. You do not get your fair share of swimmable beaches in Metro Manila, so vacationing in one will always be a welcome and exciting delight. However, just like most beaches in the summer, nearby beaches can get packed. If you are looking for a place that is less crowded and more private, you should head to Anguib Beach in Santa Ana, Cagayan. Considered as the “Boracay of the North”, Anguib Beach has powdery white sands and calm blue waters sans the crowd. It is peaceful and relaxing making it the perfect destinations for travelers who wish to be away from the typical gaggle of tourists. Spelunking enthusiasts should never miss the chance of visiting one of Cagayan’s favorite destinations, the Callao Cave. Although this is probably the best-known tourist attraction of the Cagayan Province, it merits a mention as it is unlike most of the spelunking adventures you will ever have in the Philippines. Callao Cave is approximately a thirty-minute drive away from Tuguegarao and is one of the 300 caves in the vicinity of Peñablanca Protected Landscape and Seascape. It is made up of seven chambers and various formations namely the Column, Skeleton, Chapel, Elephant’s Head, Rocket, Lion’s and Dog’s Head formation and Skeleton. 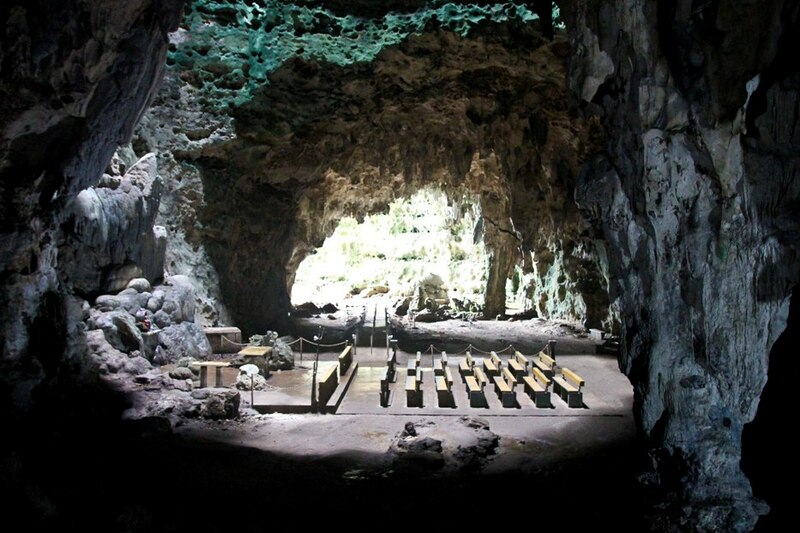 Among all the creations, the Chapel gets featured the most and considered as the focal attraction of the cave. Since then, it is a chamber turned into a cathedral by the locals and produces quite a fetching and dramatic scene considering the skylight illuminates the hall through its opening. Ilocos Norte is a Northern Luzon province of many delights—one of which is Pagudpud, a coastal town filled with scenic attractions and adventure that will surely keep your itinerary full. On the whole, the place has quite a myriad of things to offer from its alluring coastlines to its remarkable attractions. However, some of the must-visit places are the Kapurpurawan Rocks, Maira-ira Beach, Patapat Viaduct and Saud Beach. 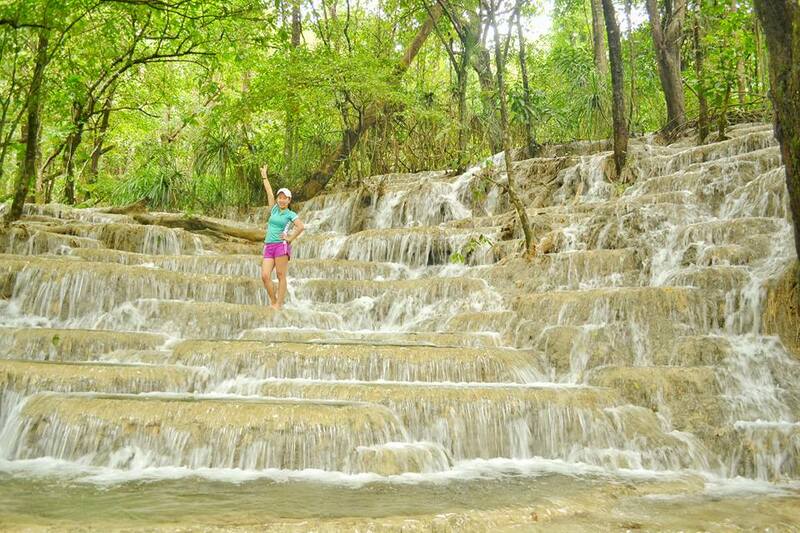 Kaparkan Falls is enough reason to visit Abra. 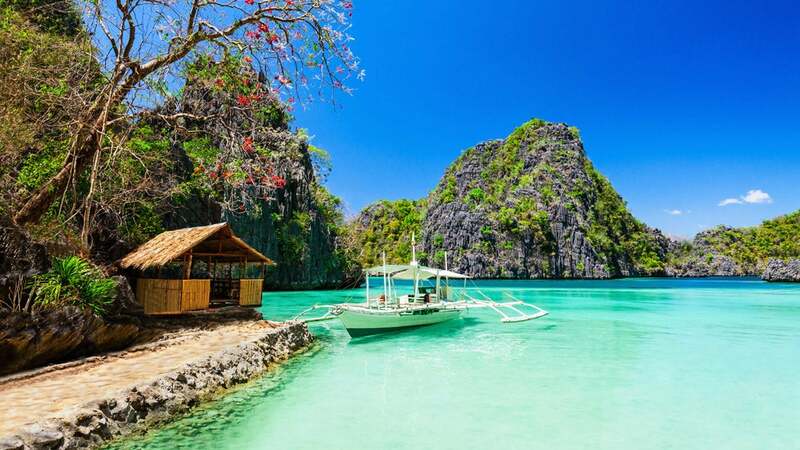 The sheer size coupled with its unusual appearance makes it not only a visual delight but an exciting destination that merits a mention in every Northern Luzon travel itinerary as well. Kaparkan Falls is characterized by its multi-tiered spring pools/terraces that cascade down the forest which make it different than most waterfalls in the Philippines. Located in Tineg which happens to be the northernmost town of Abra, getting there are quite a feat and an adventure in itself. It requires a 4X4 ride along very rough roads that would make for quite an eventful experience. It can take you anywhere from 2-4 hours going to the place coming from Bangued depending on the road conditions. In this year, experience Philippines and Metro Manila like you have not quite done so before and check out the places you might have overlooked, neglected or just unheard them. You might never know, but your spontaneous summer excursion might turn into one of the most significant travel memories you will ever make.